NabeelAzeez.com Podcast | Listen Free on Castbox. 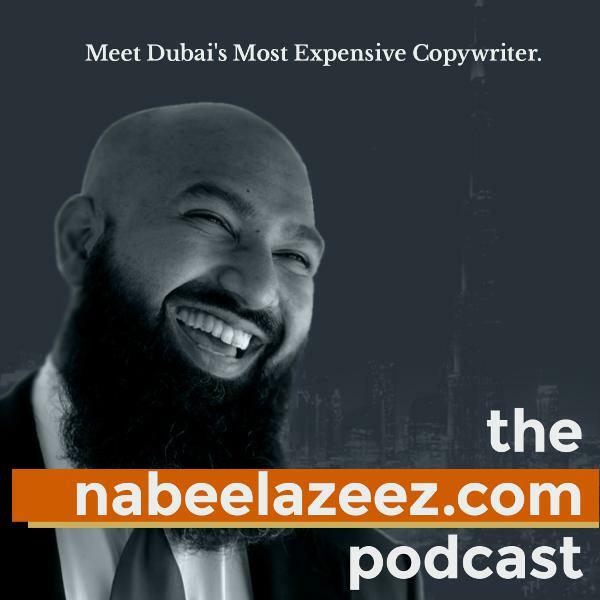 With your host, direct response copywriter and digital agency owner Nabeel Azeez. If you're serious about email marketing, here are a bunch of mistakes you MUST avoid. S/o to ConvertKit and Sumo, my preferred tools for growing my email list. I tell you why popular advice on personal branding is misinterpreted and misapplied, and the difference between self-actualization and self-image actualization. In this episode I tell you why the biggest obstacle to growing your business is your attitude to marketing. In this episode I tell you why it's more important for you to repel non-customers and bad customers than attract customers to you. I tell you how to build authority in your niche by engineering the perception of being EVERYWHERE. In this episode I use a medieval Muslim theologian's treatise on love to show you the 5 ways to make your audience LOVE you. In which I give you tips on keeping a clean, engaged list. Plus, be careful who you listen to on the internet. In this episode of the nabeelazeez.com podcast I give you 4 strategies to help you make the switch from employee to entrepreneur and set you up for long-term success. In this episode I talk about the breaking 4th Wall, pattern interrupts, and how to use them in your business. Polarity is about choices, and holding yourself accountable for those choices. In this episode, I talk about the polarity of brand and copy, and how you can use both to grow your business.